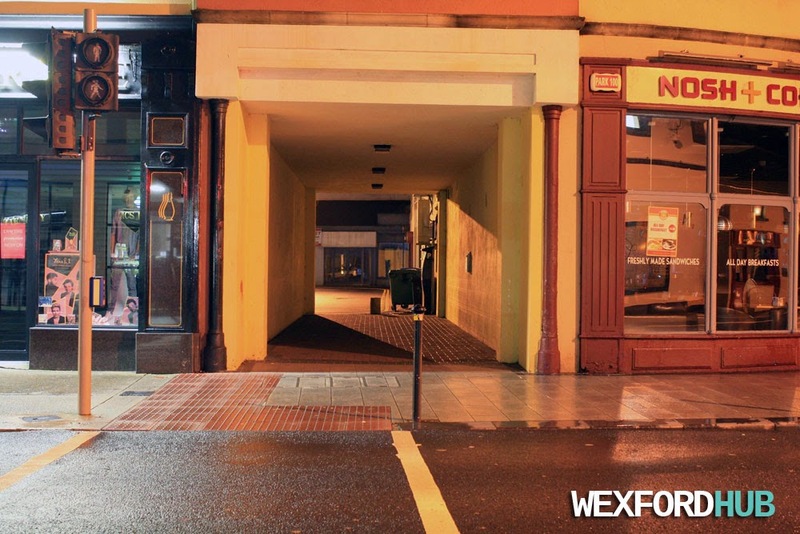 A photograph of the small alleyway in Wexford Town. This particular one runs from Dunnes Stores on the R730 to the car park behind Sam McCauley Chemists. On the right, you can see Nosh Coffee. In the past, this premises used to contain the movie rental store Xtra Vision. 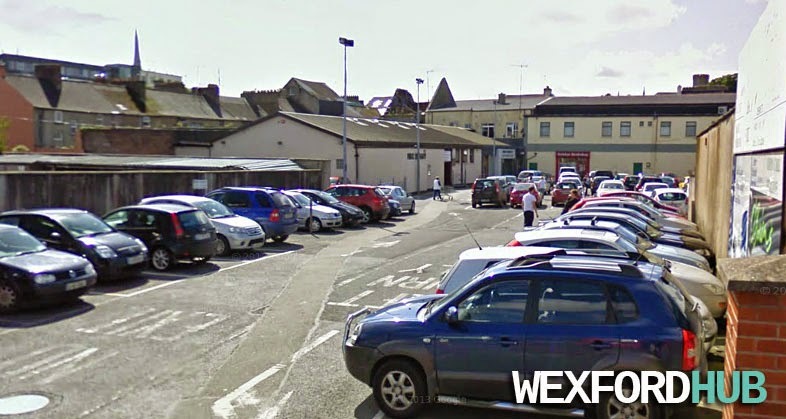 Above, you can see a Google Maps photograph of the car park, which used to contain the Wexford Library building before it was moved up to Mallin Street.